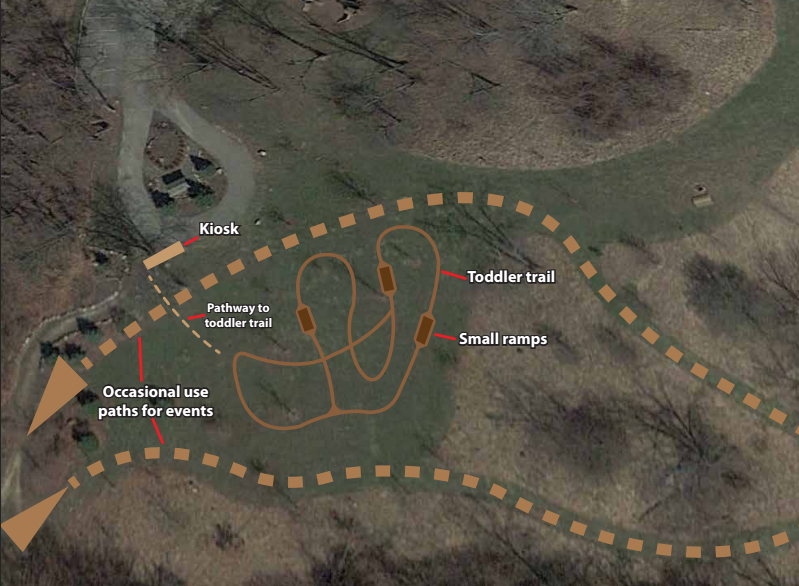 The City of Novi has approved our proposal to create a “kid’s singletrack” trail at Lakeshore Park! This trail will provide tomorrow’s mountain bikers an awesome, fun place to ride and build biking skills in a safe environment. This trail will feature narrow, winding singletrack (but still suitable for training wheels!) an optional features such as bridges and ramps, all conveniently located near parking, picnicking, and playground facilities. 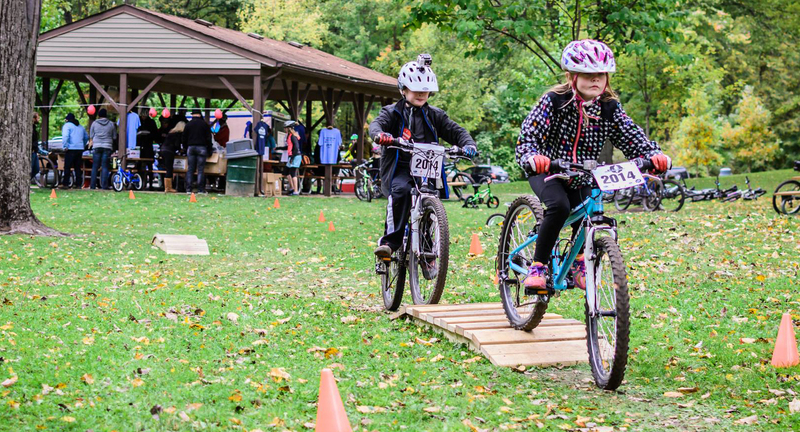 We’re hoping to make this a reality before our Take a Kid Mountain Biking event and have scheduled a build day for next Sunday, the 27th, starting at 10 am. This is a great opportunity for families to make a memory working together on a community project that they will enjoy for years to come! The 10th Annual Maybury State Park Time Trial is Race #7 of the 2015 MMBA CPS series, brought to you by Trail's Edge and the MCMBA. See 2015 Champion Point Series for more information. The course this year includes some awesome raceday only singletrack. This will be Maybury as you've never experienced it! Total course length of approximately 9 miles. The mix of fast open sprints and tight, technical singletrack reward both cardio AND bike handling skills! Elite and Expert racers will do 2 laps while everyone else will do 1 lap (including all single speed racers). Each racer has an individual start time and will be measured against the clock. The start times listed for these categories Are the intial start time for each Class. The actual time will be provided to pre-registered riders at registration. While day of ragisration riders will all be put to the back of their respective classes. Again this is an approximate time listed on the site. Please make sure you arrive 1/2 our prior to this estiamted time for registration and getting ready to burn up the course. Again - specific start times may not be available before race day. We will do our best to post them. there is a 30 second interval between racers. Awards Cash prizes for Expert and Elite racers, plus awards to the top three places in each category. Timing Timing provided by our friends at Race Services, with results available immediately on kiosks and on the web. Online registration is available at https://www.bikereg.com/maybury-time-trial-cps--mcmba-benefit-race or register on race day. Special course and kids only prizes! This is a fun non-competitive event for the younger kids. Usually about a 100 yard course with limited actual mountain biking. It is meant to be a fun event for the kiddies...ages 2 or 6 years old even. Neutral tech support will be available to help deal with those last minute issues. Another great Tree Farm Relay! Thanks to everyone who came out yesterday and made the Relay such a success! The Relay race provides a significant part of our chapter's income each year, and make it possible for us to invest in better trails throughout the year. Results are posted at http://newtontiming.com. A desktop or laptop will work best for viewing. There are a lot of great people behind the scenes who make this day possible - grooming trail, arranging sponsors, buying and grilling food, marking trail, patrolling, ... it's hundreds of hours of volunteer time, all focused on a few hours of racing. Thanks to all! A resolution to declare July 2015 as Tree Farm Relay Month. 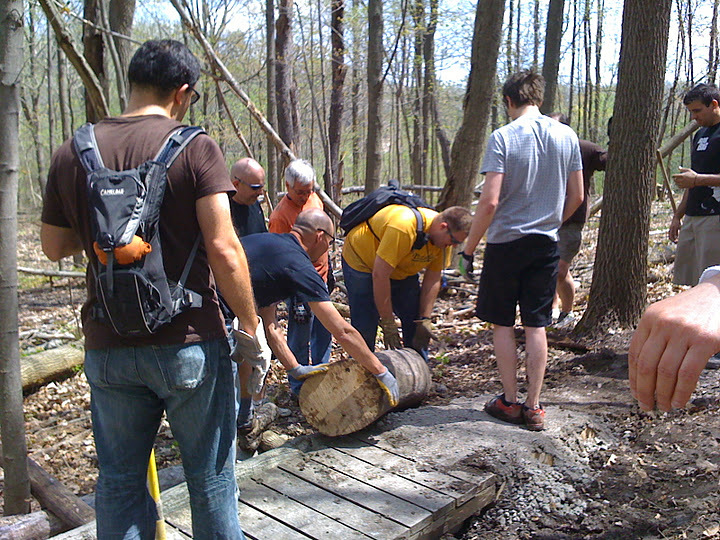 Resolved by the Motor City Mountain Biking Association, an IMBA chapter, that the members of this body declare July 2015 as Tree Farm Relay Month in the state of Michigan. We recognize the contributions that the MCMBA, Team Tree Farm, and our volunteers have made to the communities and economy of this area.